Earlier this year, I started seeing bomber jackets all over my fashion feeds. I really liked the look, but was not sure how long the trend would last, so I waited to get one. 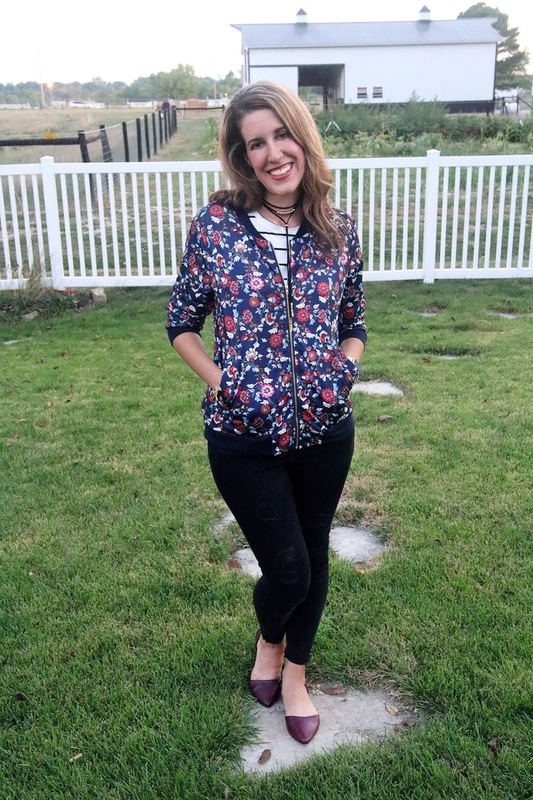 When I saw this lightweight floral bomber jacket on ADORNit, I thought it would be perfect for fall! 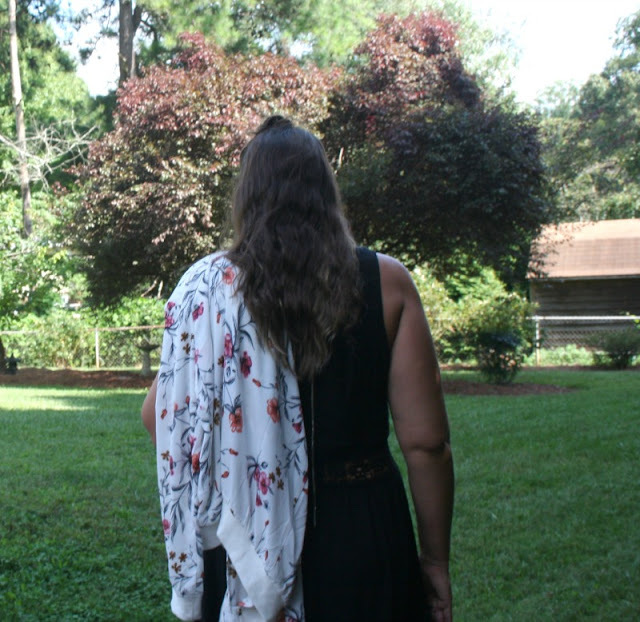 Today I am joining my friends Jill from Doused in Pink and Carrie at Curly Crafty Mom in the Thursday Fashion Files Link Up to show you 3 Ways to Style a Bomber Jacket. I’m excited to have you here and would love to have you link up one of your latest outfits at the bottom of this post. 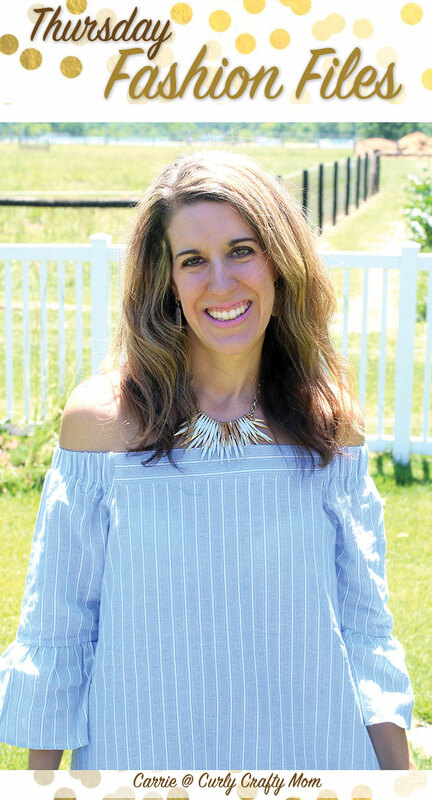 Recently I wore it over a striped tank top with jeans and booties, but today I want to show you how you can dress it up and wear it with your favorite LBD. I found this dress at Target on the clearance rack and it is becoming a favorite. The cut out detail at the waist and lace trim at the hem kicks the LBD up a notch! Add a sparkly necklace and blush colored cage heels and you are ready for a night out. The jacket is made out of a sheer material which gives it a dressier feel, which is perfect for transitional weather, when you need to wear a sleeveless dress. If you want to pick up this jacket or any other outfit on ADORNit.com, use my exclusive code "MARY25" to receive 25% off your total online order! 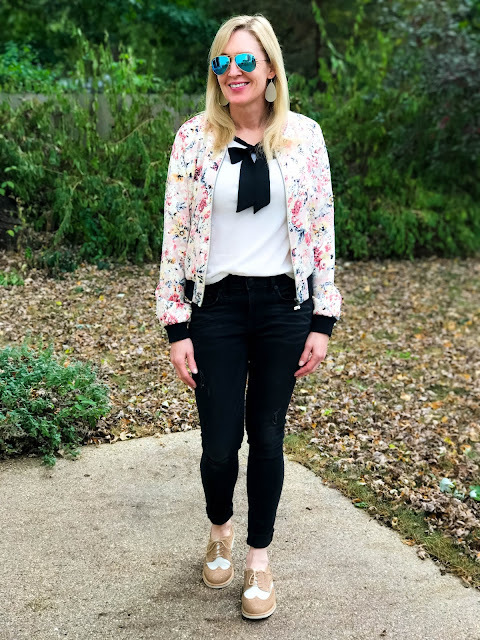 If you want some more fashion inspiration, head over to check out my friends Jill and Carrie at Curly Crafty Mom to see how they are styling a bomber jacket! 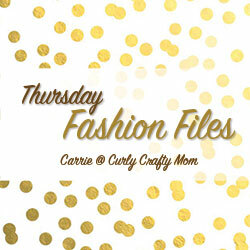 Welcome to Thursday Fashion Files with Carrie at Curly Crafty Mom! I'm excited to have you here and would love to have you link up one of your latest outfits at the bottom of this post. Mary from Real Girl's Realm is our co-host this week. Disclosure: I am an ADORNit Ambassador and the jacket in the post was provided to me, but all thoughts are 100% my own. Thank you for your comment! A leather jacket would be cute too! I am loving this outfit so much! I have a collection of floral bomber jackets because I just love that much! Actually, I think you have inspired me to wear one today. Your is so pretty and I really like it paired with that cute black dress. Great look! Thanks! It is so versatile that I need another one. I love the bomber jacket styled with the dress! Such a pretty alternative to a cardigan! Thanks! The material makes it perfect fir dressing up. I really like my floral bomber.I'm so relieved it's still current this year. Mine is generally worn with jeans I do confess but your ways are more grown up and I should take note. I love it with jeans too, but wanted to try to dress it up more. 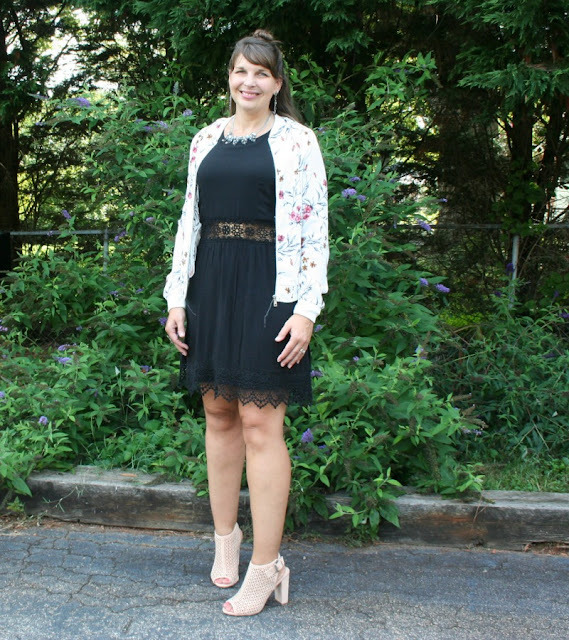 This floral jacket is so cute with that dress! I love shopping Target's clearance rack! You always style your hair so cute! Awww thanks! Target is the best! I agree! The floral gives it a dressier edge! What a cute bomber jacket! 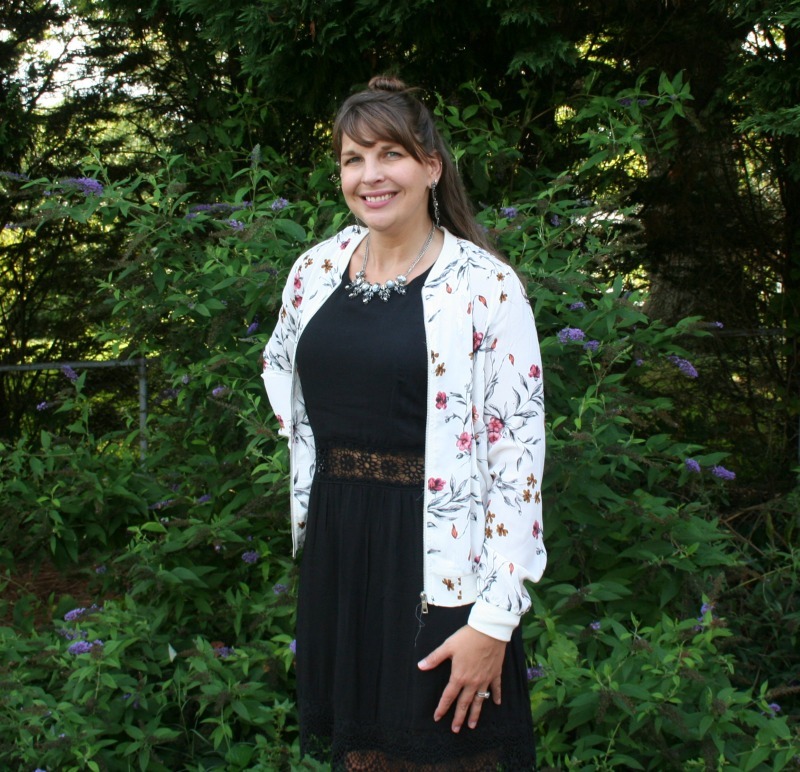 I love the floral and it look great layered with the dress! I doubt that I could pull this off. It looks great on you! Oh I am sure you could! Cute jacket. It’s so crazy how all these styles are coming back. Love how you styled it here. Thank you! It is strange to see trends that I wore in high school coming back, but I like some of them!